Magellan has unveiled a new eXplorist handheld GPS devices, extending their award-winning, rugged GPS series. The new models have codenames eXplorist 510, 610 and 710, each of them has a 3-inch touch-sensitive display, high-sensitivity GPS, a 3.2 mega-pixel camera with auto-focus, microphone and speaker to record geo-referenced images, videos, and voice notes. The new GPS devices are waterproof (IPX-7) and come preloaded with “the most detailed worldwide map in the industry”- Magellan’s World Edition map, which contains the complete road network for U.S., Canada, Western Europe and Australia. The top model eXplorist 710comes with Summit Series topographic map and City Series turn-by-turn map, which allows users to navigate their vehicles “through busy city streets on their way to their outdoor adventures”. The other two – the eXplorist 610 and 710 feature a 3-axis electronic compass and a barometric altimeter for precise orientation, accurate elevation information, and enables for weather pattern tracking. Also each model features Magellan’s award-winning OneTouch favorites menu, silent proximity alarms , they have expandable memory, paperless geocaching, high sensitivity GPS enabling 3-5 meters of accuracy, GPX compatibility, 16 hours of battery life, high sensitivity GPS enabling 3-5 meters of accuracy, vertical profiling, a digital almanac, track summary statistics and area calculation. 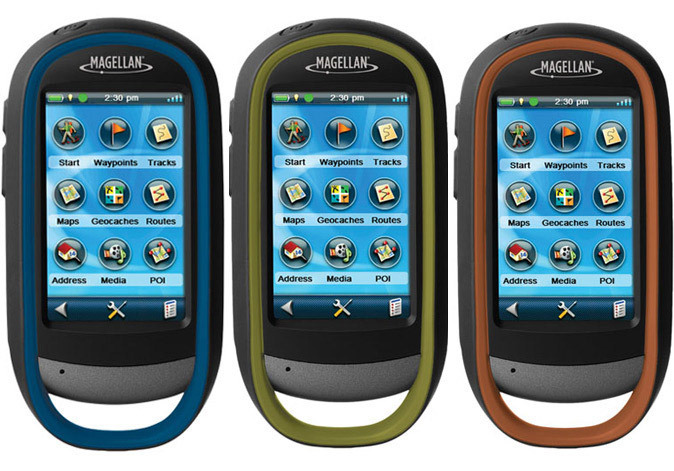 The new Magellan eXplorist GPS devices will be available to consumers worldwide in the 4th quarter, 2010. The prices are as follow : 510 $349.99, the eXplorist 610 $449.99, and the eXplorist 710 $549.99.